After finally revealing Tata Harrier after a month of teasers. Tata is now working on the petrol variant of the Harrier. The Harrier will come in January 2019 in India. Tata is offering Harrier with the 2.0-litre Multijet diesel engine called as Kryotec 2.0. It’s the same engine that comes in Jeep Compass with a different state of tune. Now we have an idea of what petrol engine Tata may offer. Tata might again source the engine from Fiat India. The same 1.4 Liter engine which powers the Jeep Compass. In Jeep Compass it delivers 160ps and 250Nm of torque. Tata might offer the engine with different state of tune as they did with a diesel engine. Offering a petrol engine will be a good decision as the price difference between petrol and diesel prices is minimal nowadays. Also, the petrol variant will make the Harrier a bit more affordable with cheaper pricing. It will come with both manual and automatic transmission. Harrier is Tata’s flagship offering and Tata is giving it Best in class features. Build on the OMEGA platform of the Land Rover, Harrier will offer a great package. In the interior Harrier gets a floating touchscreen infotainment system with 8.8″ display and 320W JBL system with 4 speakers, 4 tweeters and 1 sub-woofer! and also an amplifier. On the safety front, it gets traction control, ABS, EBD, ESP, engine immobiliser, child lock, ISOFIX seat mount, Hill-hold and hill-descent control, roll-over mitigation, corner stability control and 6 Airbags. The Harrier gets 17inch alloy wheels 235/65 R17. Tata is planning to increase sales network from 780 to 2,000 outlets by 2021. 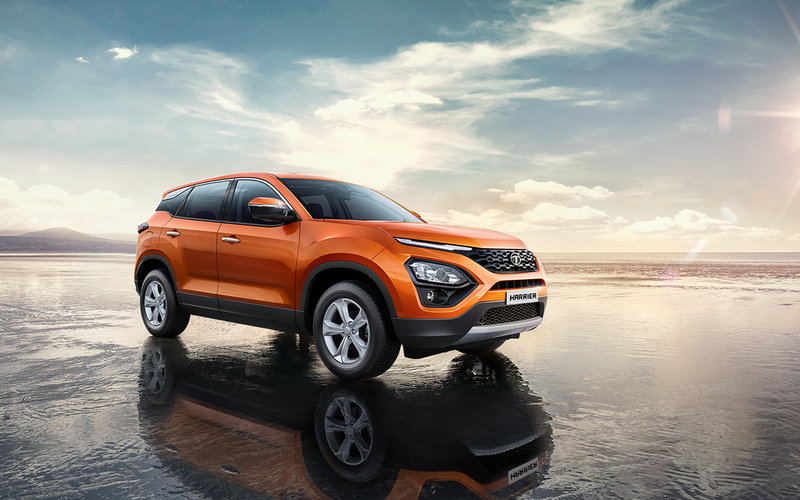 Tata Harrier competes with Mahindra XUV 500, Jeep Compass and Hyundai Creta. There is no word on when the variant will be launched but we hope it will come soon.